I eat Spam. There I said it. Not only do I eat, but I actually love the stuff. I know. I know. It’s not regarded as a healthy option for protein, but my goodness, it’s so good. As an undergrad, whenever I needed a quick lunch, I usually had it with white rice. 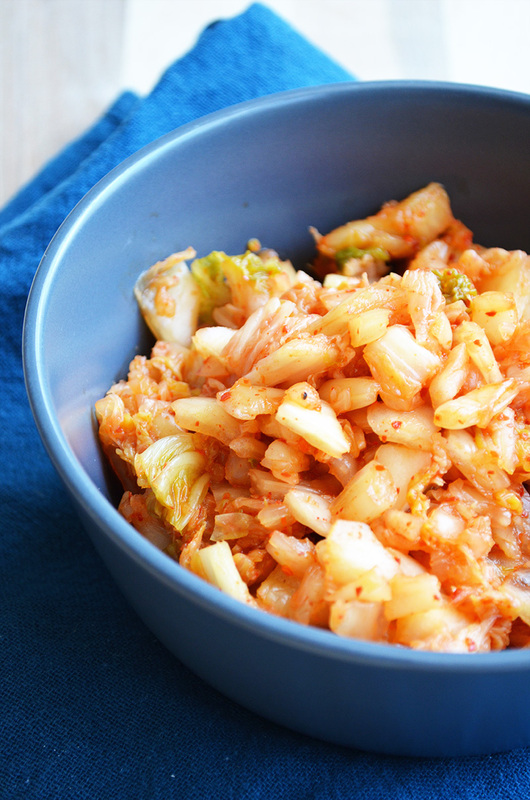 Now that I much more disciplined, I only have it in my glorious kimchi fried rice. 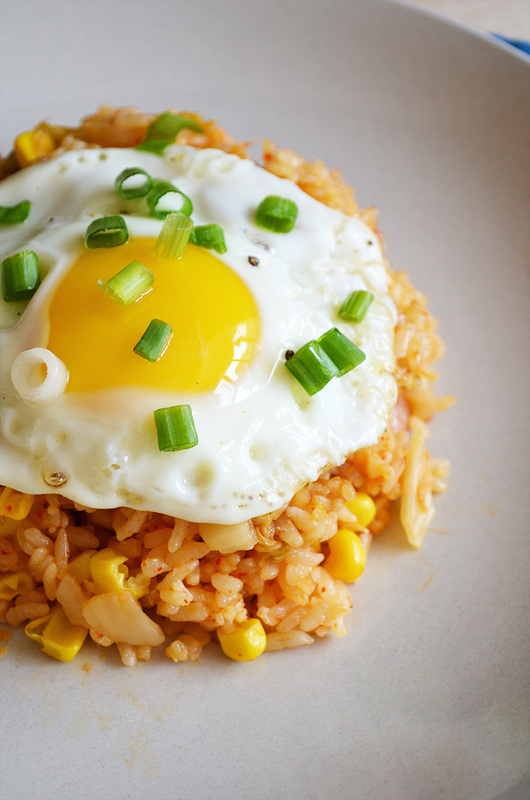 I am quite certain that this kimchi fried rice was the first thing I ever made without a recipe. 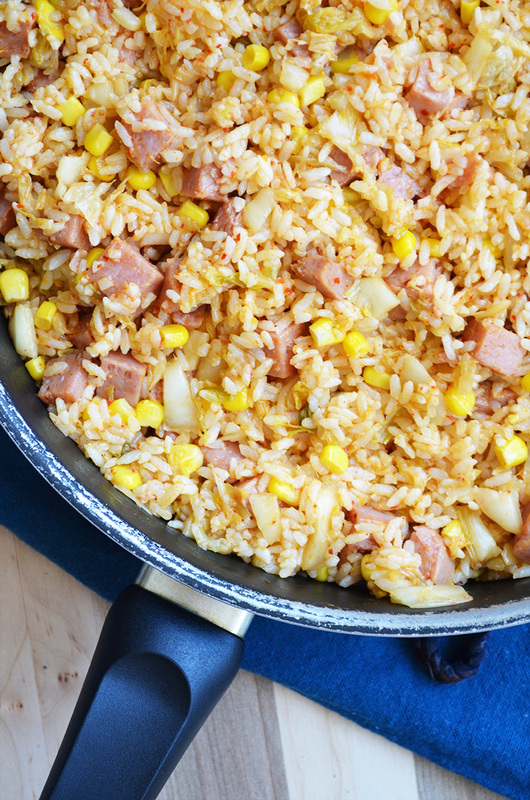 The salty Spam, spicy kimchi, and sweet corn are a delicious trio of flavors. 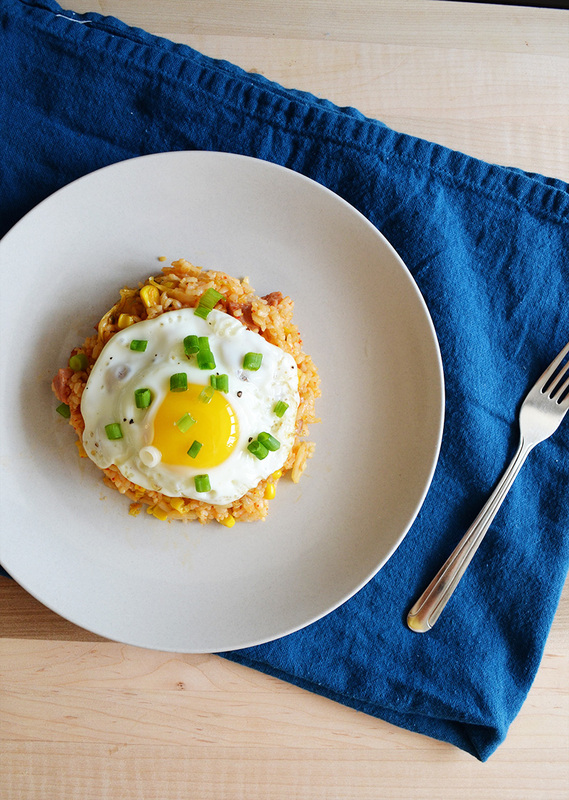 It gets even better when it’s topped with a fried egg – sunny side up or over easy. 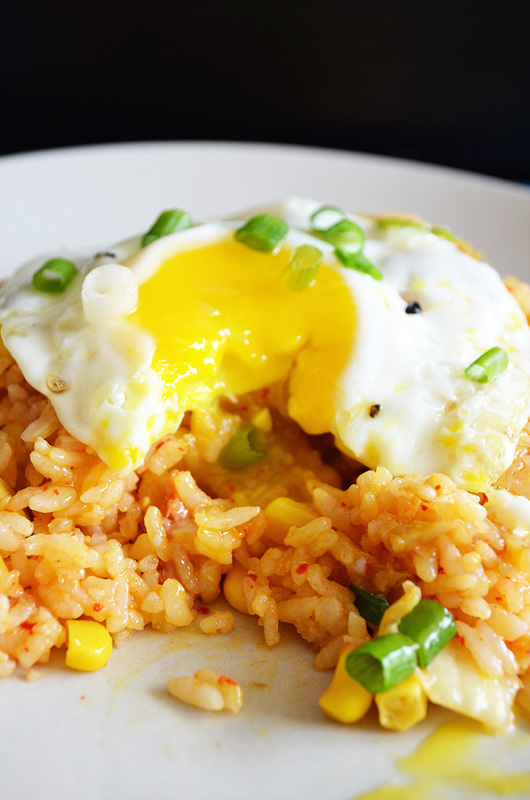 Nothing is a sacred as the moment you break the yolk with your fork, and it runs all over the fried rice. I usually stray away from starting the title of my posts with “The Best…” (because come on, who really knows), but I am honestly convinced this recipe is the best! It’s one of the most delicious things I’ve eaten. Poor Spam. It has such a bad rep and negative connotation. We now use the word to describe unwanted emails. I think that’s unfair! How about we call unwanted emails “raisins” instead? Nobody likes raisins – right? Also, if you don’t have a rice cooker, follow this handy link for instructions on cooking Calrose rice over the stovetop. And because I like you all very much, here is my recipe! Cook the rice with the water in a rice cooker or on the stovetop, then set aside. Heat a large saute pan over medium heat. 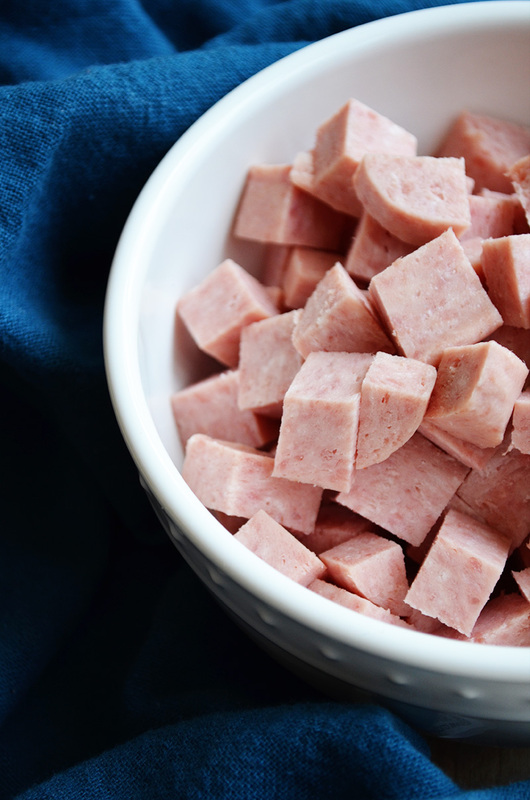 When the pan is hot, add the cubed Spam. Stir and cook for about 4 minutes, until slightly brown. Add the rice, and with a spoon, break up it up so that there are no clumps, about 3 minutes. Add the kimchi, kimchi juice, soy sauce, and corn. Stir for another 2-3 minutes. 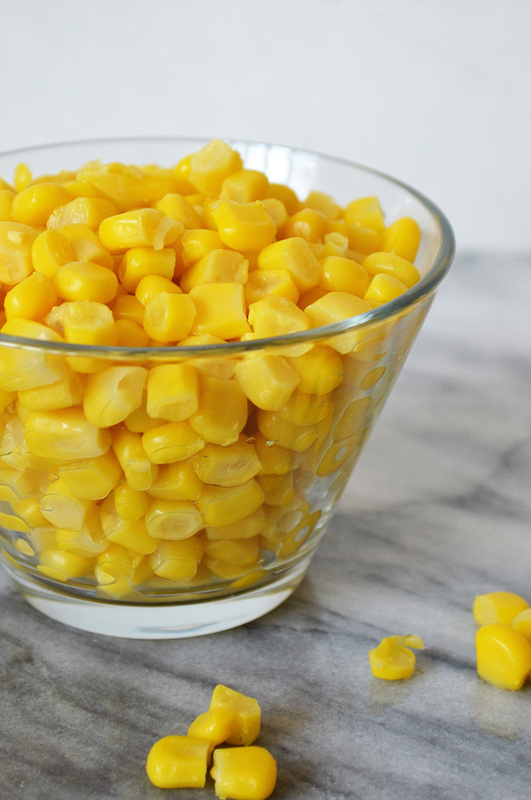 Turn off the heat and scoop into 4 bowls or plates. Heat up the oil over medium-low heat. When the oil is hot, crack the 4 eggs directly into the pan. Season with salt and pepper. When the egg begins to turn white, use a metal spoon to spoon oil over the eggs to help it set. Cook until the egg whites are mostly white, or to your liking (for eggs over easy, allow the bottom of the eggs to get completely white the flip and cook for another 30 seconds). Plate one egg over each serving and top with sliced greens (optional). Serve immediately. Yum! This looks delicious and I love the runny egg. Also I feel the same about spam. Thank you Sarah! I’m so glad you feel the same way! !